Some people dread their birthdays, and I think I’m one of them. The last 20 years seem to have passed in the blink of an eye. It seemed there was all the time in the world to do the things I wanted to do in both my career and personal life. Some of those goals I’ve achieved, some I have exceeded, and with some I’ve failed dismally. I think I’ve always suffered from a form of ‘itchy feet syndrome’ – a feeling that once I’ve actually or metaphorically ‘been somewhere’, I have to continually look for newer horizons. From being a tiny baby I travelled the world with my parents due to my father’s employment (part RAF, part MOD). Nowhere was ever home, and there was never any sense of permanence to the places we briefly lived, or the friends we may have fleetingly made. I knew that pretty much each year would bring another move, another school, another climate, another culture, and another period of adaptation and adjustment. In many respects that continued into adulthood. I lived away from home much of the time when I was at sixth form college and then I moved to Brighton to continue my studies. I travelled to the United States two years in a row to engage in postgraduate work, then returned again five years after that. This was all entirely normal, and it did feel as if life speeded up as a result. At this stage I am distinctly middle-aged (with the onset of crows feet and more than a few grey hairs) but I can finally enjoy the wisdom and experience of advancing years. I know I can handle myself in pretty much any situation I encounter. I have a very good grasp of human nature (the reality of which hit home when I turned 40, and all of my illusions and naivetes vanished). I know that relationships are absurdly removed from how they are portrayed by Hollywood. I know that our legal and medical institutions will sometimes let us down. I know that if we don’t invest in our friendships and relationships they will likely fade. And I know that running a business is immeasurably tougher than I could have thought possible. Wisdom is, by its nature, something we grow into later in life and I’m sure I’m not the only person to think about the mistakes I might have avoided (or the healthier perspective I might have had) if I had known these things 15 years ago. And so the birthday I was dreading has come and gone, it was last Friday in fact but my current workload has seen me deferring my cards and cake until today. This cake has done so much to make me smile – and I must pop into the village (Storrington) to Cakes For All Reasons on Church Street to tell Sonia and her assistant how it made me feel when I saw it. It seems the ‘brief’ consisted of a link to the animals area of my website and this is where Sonia and her very creative assistant have gained their inspiration. 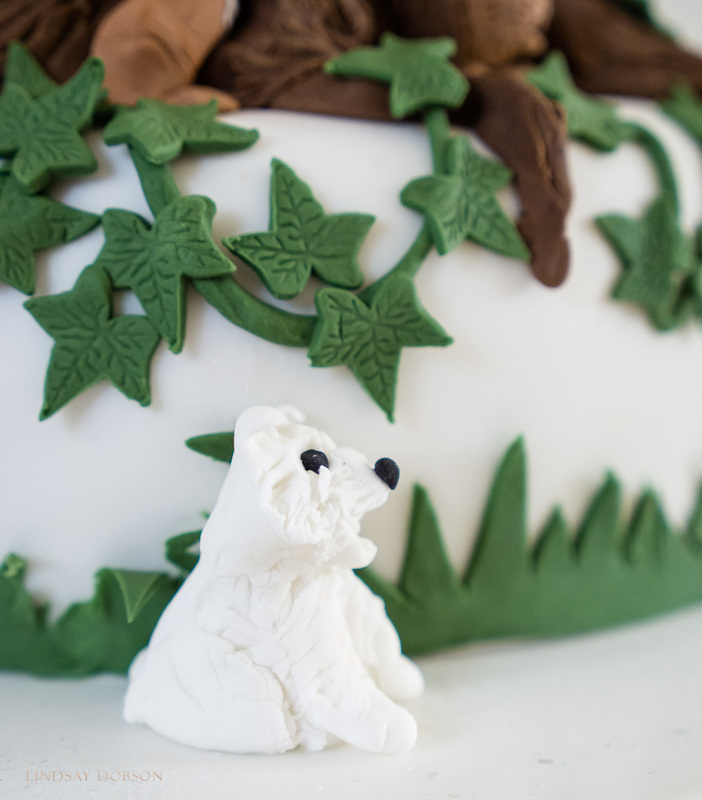 In fact they have picked out some of my favourite animals, the ones I have loved and photographed repeatedly over the last few years, and they have been recreated in beautiful sugar work. There is even one of me, dressed exactly as I am whilst shooting, and bringing my EM1 up to my eye. 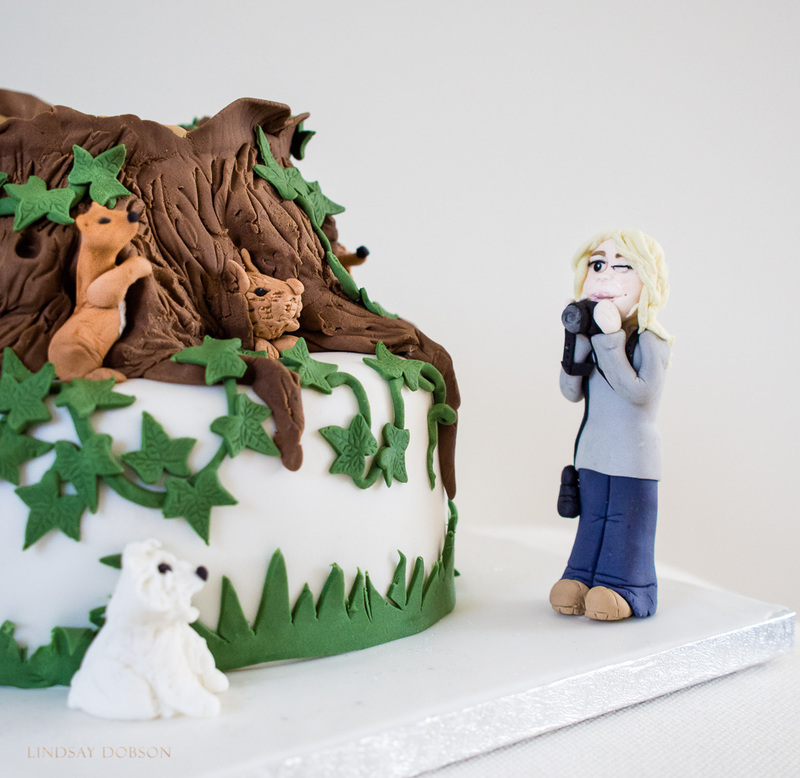 Cutting this cake was not an easy thing to do, but I have at least immortalised it in a few photographs. Without photographs, it would be easy to forget what this cake looked like – rarely can we rely on perfect memories. All too often the things we’ve valued, loved, or appreciated will go. And that’s where the real value of photography lies.